Since being reintroduced three years ago, the Tour has continued to grow, with runners travelling from as far as China and Australia to compete in the event. Reflecting on the four event challenge, Sports Tours International CEO, Chris Bird said: “This event as everybody knows started many, many years ago. We had a short break but decided to bring it back, thanks largely to Ron Hill; he was the person who inspired us to take it onto the next level. 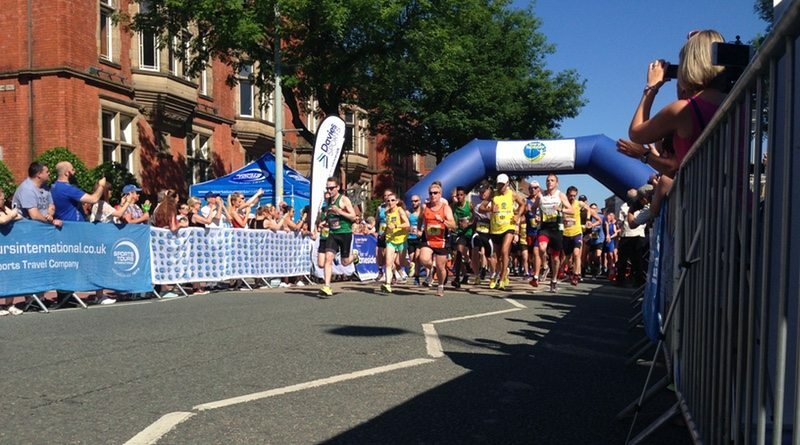 A number of local businesses lent their support to this year’s Tour, including Kerry Foods, Active Tameside, New Charter, Davies Sports and Swizzels. Other partners included Browns CTP Print Solutions, Tweed, Curzon Ashton Football Club and Jackson Event Engraving. Although the Tour has been seen as a success this year, Chris Bird believes that, in order to keep it special, it has to stay simple. He said: “We’ll make sure that it doesn’t get too big, because we want it to be the peoples’ race, and we want it to be a community race. Chris added “We’ve been blessed with the weather; we’ve had more runners than ever before; we’ve had great support from sponsors, and it’s just been tremendous. I also think with the backdrop of what’s gone on in the UK over the past few weeks, there’s been a lot of sadness in the country, so it was just great to have a big get-together over the last four days. In what was a fiercely contested four days of running, Gareth Raven took the overall male title, while Kirsty Longley retained the overall female crown. A number of running clubs were represented throughout the event, including Hyde Village Striders, Mossley Running Club, BelleVue Racers, Glossopdale Harriers and East Cheshire Harriers.